Brandfield is an official dealer of many wallet brands . Our collection includes ladies' wallets and men's wallets. Our online shop offers excellent product service. If you order your wallet on a working day before 23:30, we will dispatch the item the same day. We ship your order for free. Pay later without any additional costs. Do you want to surprise someone with a new wallet? We can send the item in a special gift wrap for a stylish present. If you're not completely happy with your purchase, you can return the wallet within 30 days! We have also seen a growing trend where the focus is increasingly on sustainability and corporate citizenship. More and more bag labels choose to participate in fair trade practices and make a commitment to ensure that leather tanning does not cause any harm to humans, animals or the environment. They also pay sustainable wages and provide opportunities for craftspeople and their families. The Dutch brand MYOMY is one of the brands that offers sustainably produced wallets. This brand made its name with the popular leather My Paper Bag shopper bags and offers a wide range of bags based on this design. Show your fashion sense with a striking wallet from a famous high-fashion label. Paul's Boutique is the perfect brand for you. This collection includes real eye catchers, which are both luxurious and edgy l These wallets are real gems in your bag, with surprising designs, fancy zebra and leopard motifs and unique urban and graffiti patterns. You can complement the look with a Paul's Boutique designer bag. Mini wallets for men, also knows as slide wallets or card holders, are a growing trend for men. This is a card holder which safely stores debit and credit cards. The Secrid wallet has become very popular in recent years and we expect this trend to continue for many years to come. Besides Secrid, the collection also offers Garzini wallets. The perfect choice for the minimalist man of today who only pays with debit and credit cards. If you're someone for carefully selects the right fashion accessories before leaving home, we're sure you'd like to match your wallet with your shopper, hand bag or shoulder bag. A lot of brands have responded to this trend by designing bags with the same look, color and print. Or they include a handy wallet with the designer bag. The wallets from Paul's Boutique make it easy to find the right match by giving the name of the design and print of both bag and wallet. Brandfield offers an array of choice so you can find a wallet to match your personal style. Discover our huge assortment of bags, jewelry, sunglasses and watches to complete your wardrobe with the right accessories. 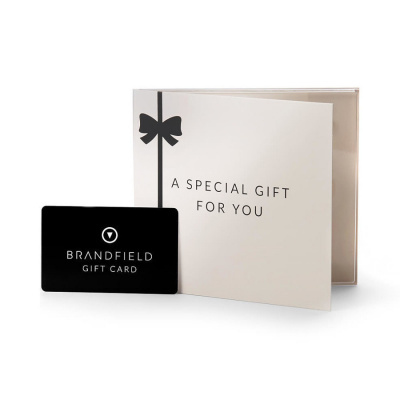 Benefit from the advantages of online shopping by ordering your new wallet from Brandfield. We offer a first class service and great terms and conditions for all your online purchases. Order today before 23:30, for same day dispatch (applies to working days and Sundays). Is it a present? In that case we can give your order a festive touch with a luxury gift wrap. If you are not 100% happy with your purchase or would like to exchange your purchase, you can return the item within 30 days.